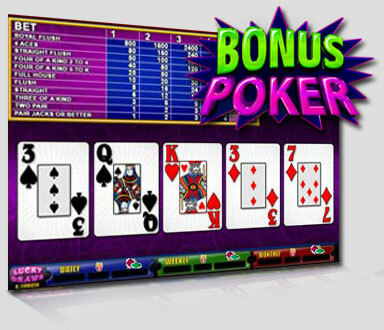 Your main objective is to obtain the best -paying hand. 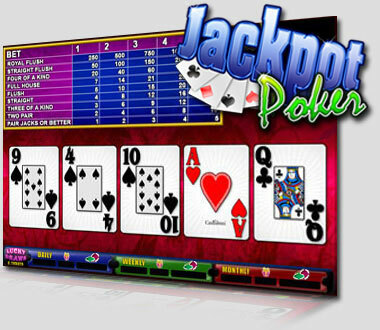 The machine deals a five card hand. You may hold or replace cards as many times as you wish. 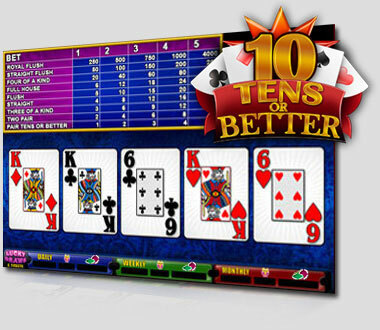 Video Poker has the same ranking system as table poker. 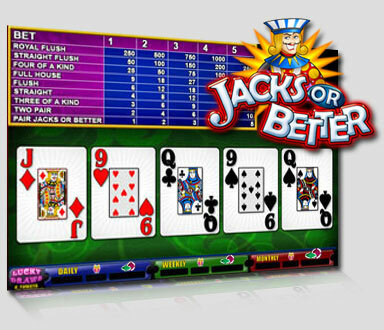 We offer four types of Video Poker games: JACKS OR BETTER, JACKPOT POKER, TENS OR BETTER and BONUS POKER.